So we started this series featuring our favorite Hungarian cities… beyond Budapest. Because Budapest, our capital is well-known and touristy enough. But a lot of people visiting Hungary ask what else there is that’s worth seeing. Well, we hope to give you some ideas. We still have 6 amazing cities to show you, and we will do so. Now welcome to Pécs! 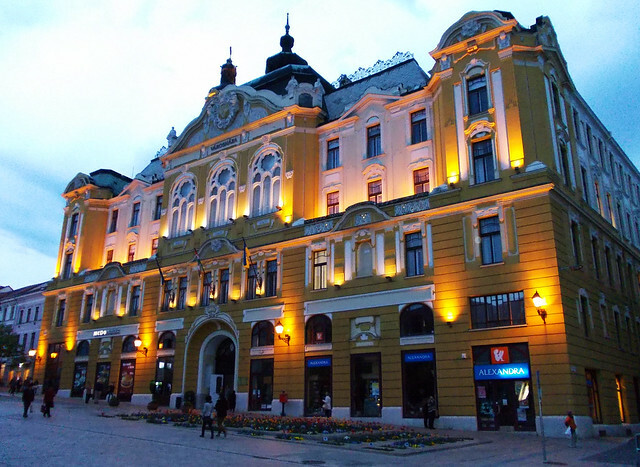 Pécs is located in Southern Hungary, close to the Croatian border. 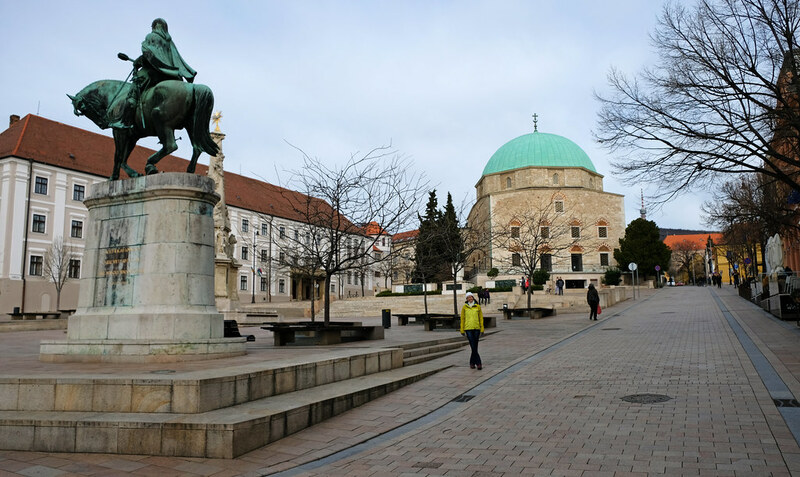 At the place where Pécs is today, a Roman city named Sopianae stood in the second century. Later it became a significant early Christian center. And today, it’s the loveliest city in Hungary, with its city center full of beautiful pastel colored buildings from the Middle Ages, Baroque, Classicism, Rococo and Art Nouveau, with rich cultural heritage and a chilled out vibe. Pécs was selected to be the European Capital of Culture in 2010, and it resulted in a major renewal of the city center. So all those amazing historical buildings are nicely renovated and make the city even more appealing. There’s not only one walking street in the center, rather the heart of the city is a walking zone itself. 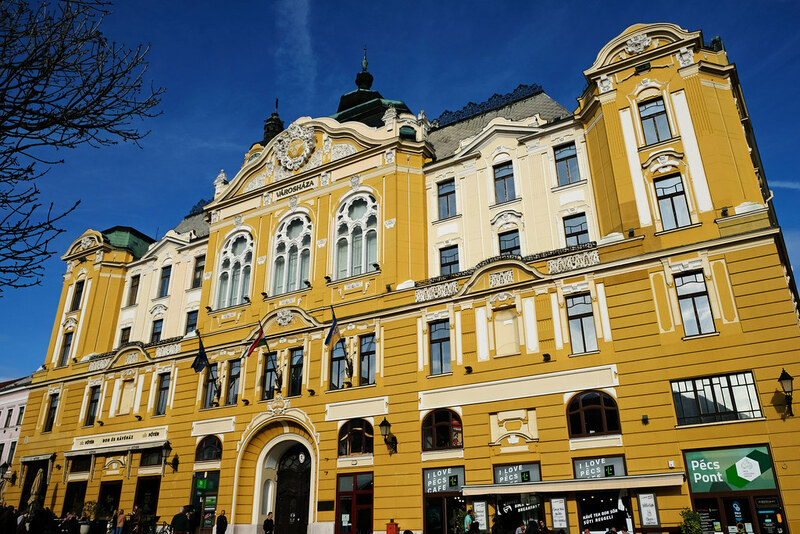 Király Street is the main walking street, with the National Theatre of Pécs, the Art Nouveau Palatinus Hotel, the oldest café in Hungary (called Caflish) and some fabulous façades. But all the surrounding narrow streets offer nice surprises, and the majestic Cathedral of St. Peter and Paul and the Synagogue of Pécs are two other special pieces of architecture. And hey, there’s Hungary’s most popular place for lovelocks, too, if that’s your thing. An ancient relic, the Early Christian Necropolis of Pécs with its underground burial chambers and memorial chapels is a UNESCO World Heritage site. Pécs also has a unique heritage from the age of the Ottoman occupation. 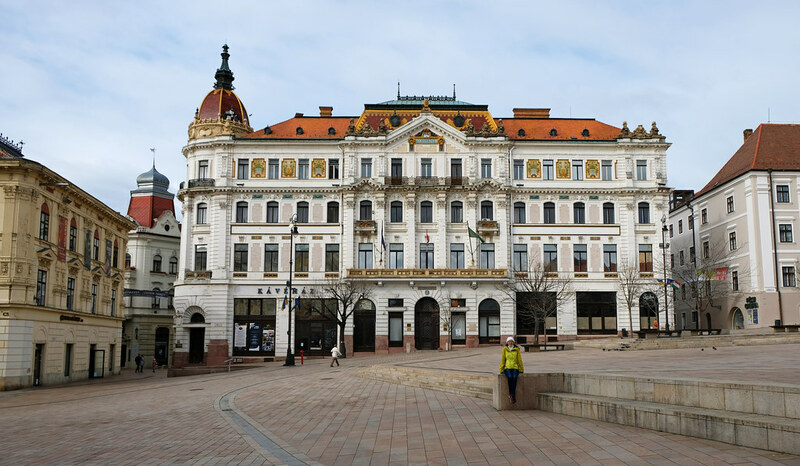 Actually, no other Hungarian city is that rich in Turkish architecture as Pécs. The Mosque of Pasha Gazi Kasim was originally a Gothic church that was turned into a mosque after the Ottoman occupation. It has all the typical Ottoman architectural elements, but today it operates as a Catholic church again. The combination of Muslim crescent moon and Christian cross on its dome symbolizes very well what a unique mix this church is. Jakovali Hassan Mosque is the only Turkish age mosque in Hungary that has remained intact together with its minaret. 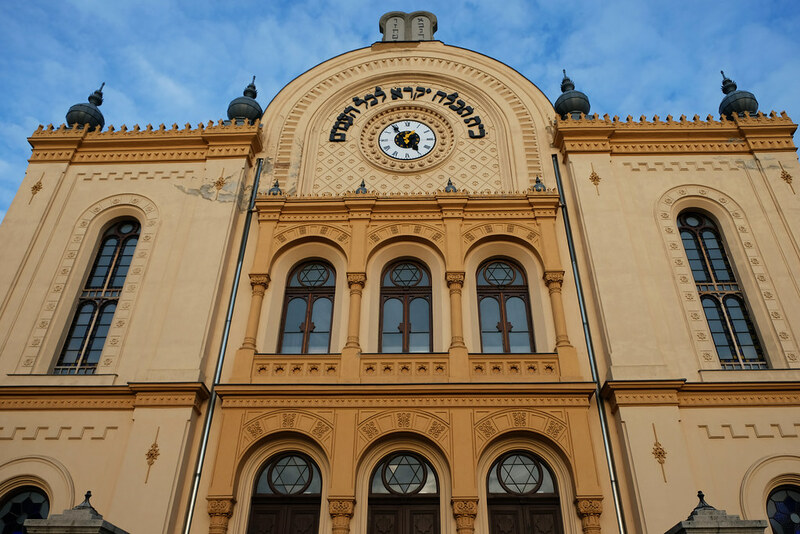 Its interior is entirely in line with religious doctrines even today, and it’s used by the Muslims living in Pécs. The türbe of Idris Baba and the ruins of the baths of Pasha Memi are also interesting remnants from the Turkish age. We usually prefer science or natural history museums to art museums, and most of the times we skip even the most famous art museums of the world. They are not our thing. We have respect, but no love. But there are two smaller art museums in Pécs that I actually enjoyed very much. Csontváry Museum is a permanent exhibition of the most significant artworks of Tivadar Csontváry Kosztka, one of the first Hungarian painters who has became known in Europe. He is a painter from the early twentieth century, and I especially liked his large landscape paintings. Vasarely Museum is a representative of a completely different style: the so-called Op-Art (optical art). Victor Vasarely, a Hungarian–French artist, often mentioned as the father of Op-Art, was born in Pécs. He donated a series of graphics, hundreds of silkscreens, tapestries, sculptures and serigraphs to the museum of Pécs which is on display in Vasarely Museum today. The playfulness of these artworks and the optical illusions are so much fun! Have you heard about Zsolnay Porcelain? Zsolnay Porcelain Manufacture was established in Pécs, and their unique handmade products are world famous. Their ceramics were widely used by many famous Hungarian Secession architects such as Ödön Lechner, Miklós Ybl or Imre Steindl. It can be seen as decoration in buildings such as Matthias Church (Budapest), the Hungarian Parliament (Budapest), Museum of Applied Art (Budapest), Gellért Baths (Budapest), Kecskemét Town Hall, Szeged Town Hall or Subotica Town Hall (in Serbia). 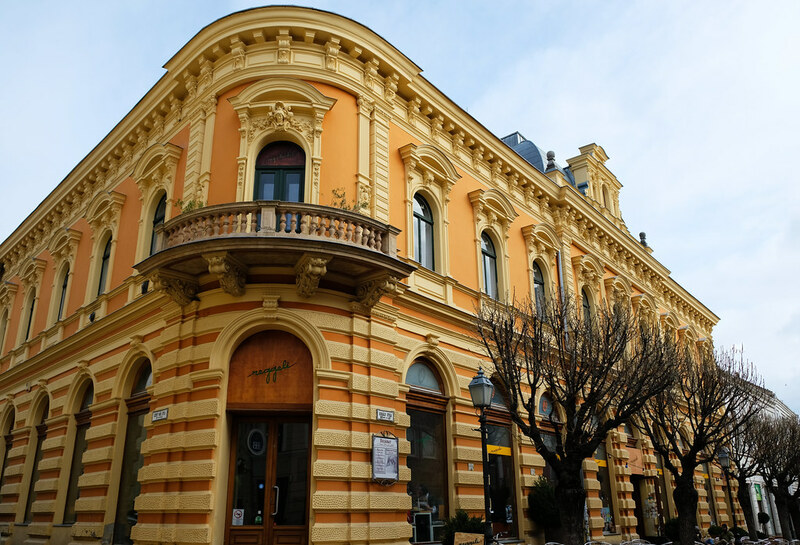 Our favorite museum in Pécs is by far the Zsolnay Museum established in the Zsolnay family’s former home (Káptalan Street 2). There you can get to know more about the family, the history of Zsolnay, and unique masterpieces are also on display. We are definitely not experts in porcelain (neither in arts in general), but even we could recognize how unique and beautiful these pieces are. 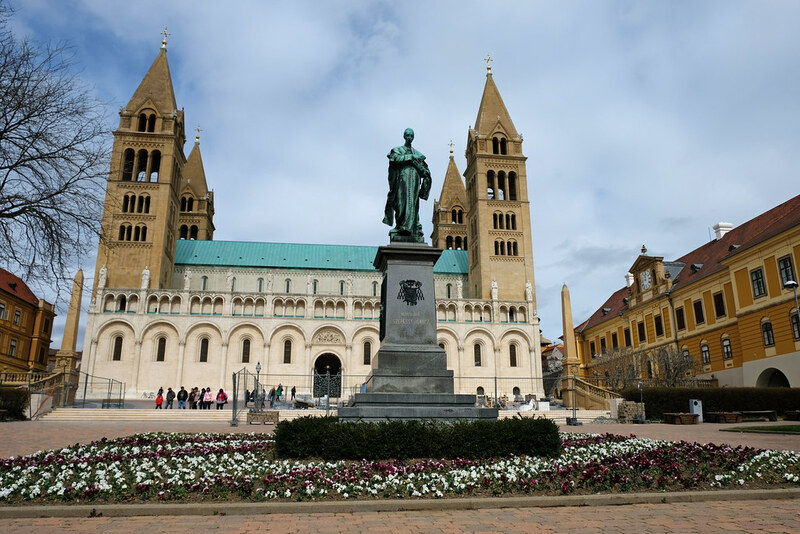 Pécs is 2 hours drive from Budapest, and it’s about 3 hours by train. The city center is small and easy to explore on foot. 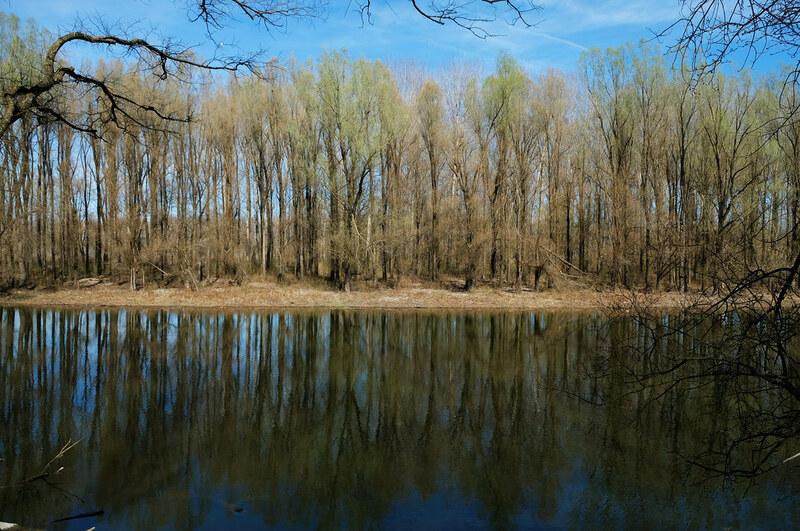 Other places worth exploring near Pécs are the medieval castle of Siklós, Villány Wine Region or the Danube-Drava National Park. Have you ever been to Hungary? 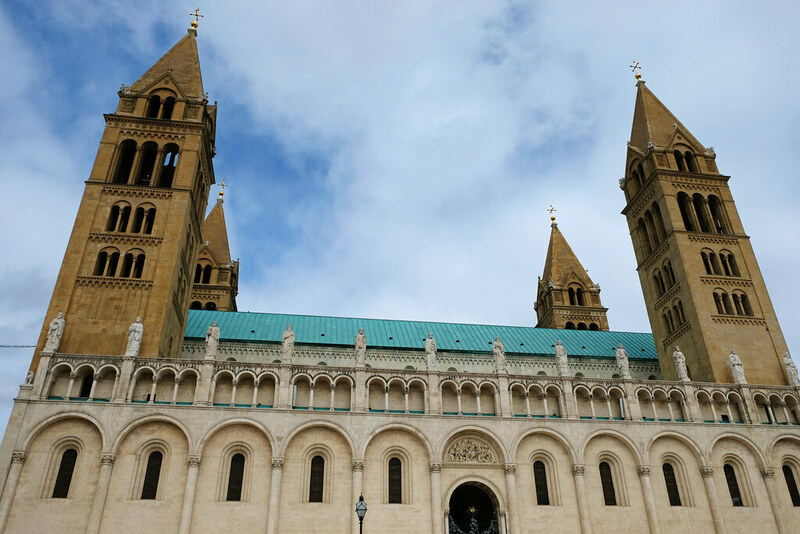 Would you visit Pécs? This post was updated in April 2019. Next post 12 Instagrammers That Make You Want To Travel Like Now! You two are such a sweet couple. Looks a little chilly, though! I was in Hungary in 2010. It was a lot of fun, though I didn’t make it to Pécs. I’d definitely go if I ever make it there again. IMO, museums are the best part of traveling. I can spend all day in them, and often do! It was early spring when we visited last time and that’s usually not really sunny or warm here in Hungary. 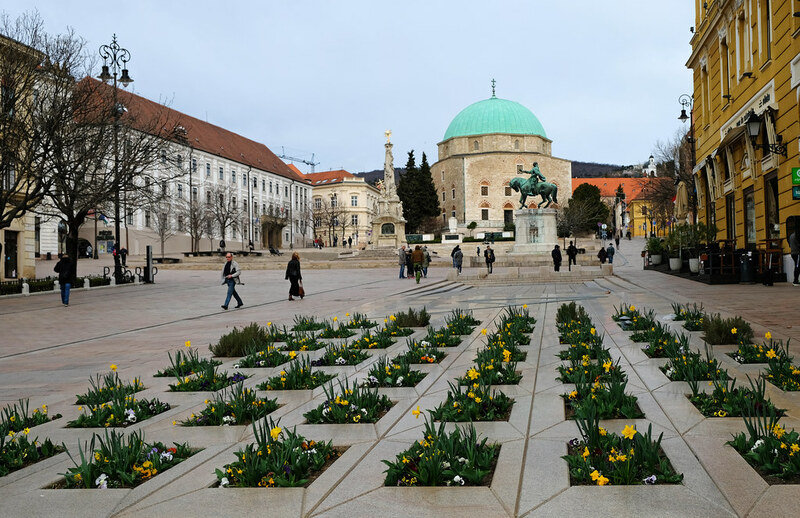 But you’d probably love Pécs if you like museums as it’s full of exciting or quirky museums (though they are of the smaller kind, not that it’s a bad thing).